I have a mid-mount SMT component that I need to make for Fritzing. How do I create a part that has pads on both the top and bottom layers. Attached is a picture of the part in question. If you know how to make parts you group the pads in copper0, and put that in another group called copper1. I don’t think that will work here. I think he needs pads on both sides of the board that are independent (like an edge connector) and that is difficult to arrange. It think this thing needs 10 pads on top (connector0 -9) and 10 on the bottom (connector 10-19). Correct. The part mounts on the side of the board and has pins on top and bottom. 10 on bottom and 9 on top or vise versa. 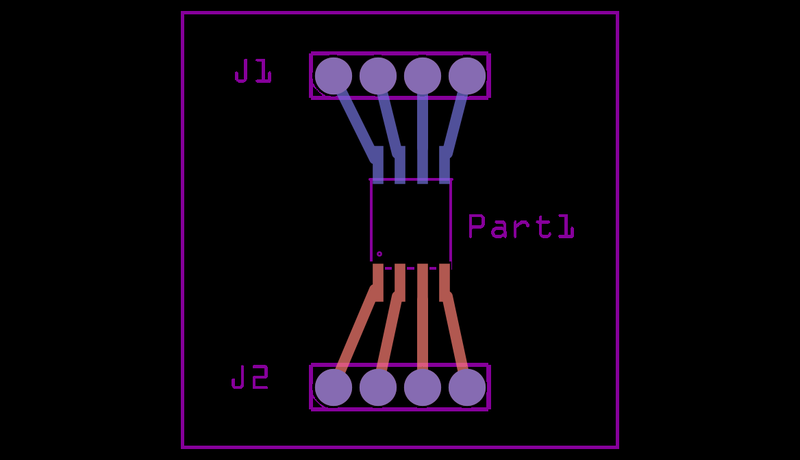 The last time we did this (an edge connector), I think we ended up with two parts, each smd one for the top and one for the bottom with alignment the responsibility of the user. I’ll poke at it in a while and see if I can figure something out, but we didn’t find a solution that worked last time. So you have to make 1 part with only copper1 and another with only copper0, then just stack them on top of each other. 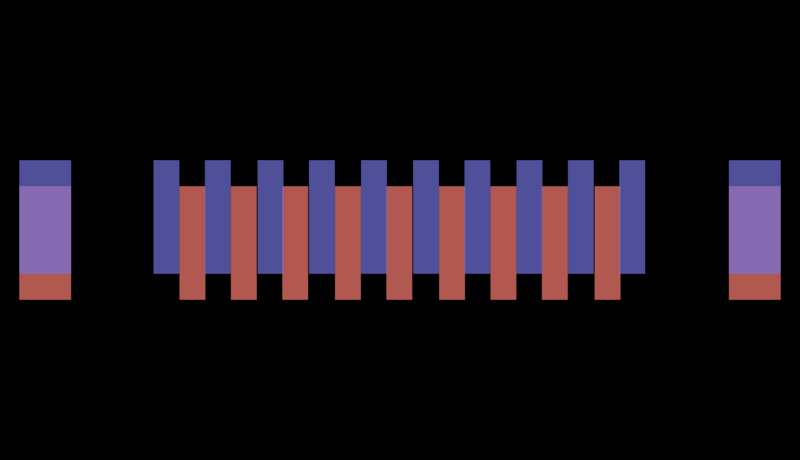 No, this one is a single part, with both copper0 and copper1, but not grouped together in the svg. The fzp has both layers but the pins only use on layer or the other (half in copper0 half in copper1). The problem is this was how all parts were in the past and Fritzing tries to deal with that which breaks the top/bottom of the board logic (and perhaps more I haven’t found yet), but it should work for that the OP wants to do I think. I was thinking about separated copper groups in one part, because I used to see it a lot in the FZ 9.2 days. If I get the time I might make a part with stacked pads just to see how to make connections to top and bottom. Thanks! This will be a great place to start. I am getting this error. Should I be concerned? No, it is just telling you that it has what it thinks is an old part (instead of one that we have screwed with to do what we want). It can be ignored, although your part won’t correctly change to the bottom of the board due to this, you likely won’t care. Can y’all look over this part to see if you can find anything glaringly wrong? Is this what you are getting when you add the part? Yes. 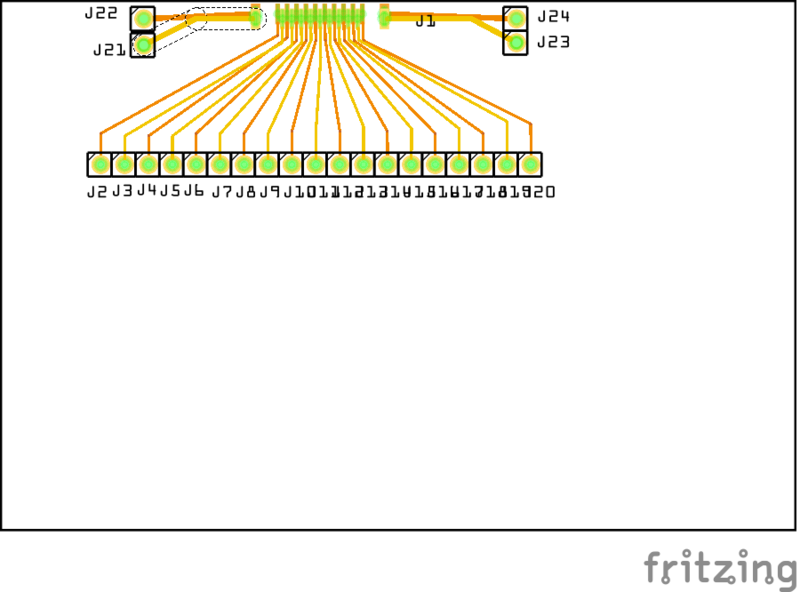 The red is because you don’t have enough connectors in schematic or breadboard. It should work fine in pcb like this however. edit: I spoke too soon, there is more wrong than just the missing connectors. I ended up having to complete schematic to identify all the problems. The internal pin numbering was wrong as well. It is corrected (all of it, the missing connectors have been added to breadboard although it is not complete and schematic as noted has been completed).